If you are thinking about getting into using Live then I do highly recommend this book while for those of you out there using Live already without having bothered to read the manual, this might be a far more interesting alternative. Dip into a chapter, any chapter, and I can guarantee you´ll hit on something you never even knew you needed to know. Good for both advanced users and novices alike. 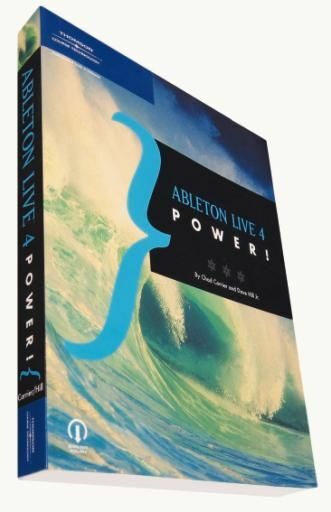 At first glance, with its 370 odd pages, Ableton Live 4 Power! at least looks like it should contain plenty of useful info. Once you get a look at the contents it becomes clear that this book really doesn´t miss a trick, with every one of the major areas in this software covered. What struck me while reading through it is that this book manages to cater extremely well for the complete Live novice and equally well for someone who like me has been using it since Version 1. While I might know most of the basics it really never hurts to have all those little tips and tricks reaffirmed, especially all those quick keys that you always mean to use but can never quite remember at the crucial moment. The combination of authors has created a really good balance between the user and the creator (for those that don´t know, Dave Hill Jr works for Ableton) and the book´s packed with useful advanced user tips that sit easily alongside an encyclopedic wealth of basic knowledge for the uninitiated.